Under the motto "Designing processes. Moving IT. Together" at LogiMAT, from 19 to 21 February 2019 in Stuttgart, our focus is on the customer. In Hall 8 / Stand A21, companies from all industries and of all sizes can discover innovative concepts and integrative solutions that network, automate and optimize the individual supply chain, cross-company. 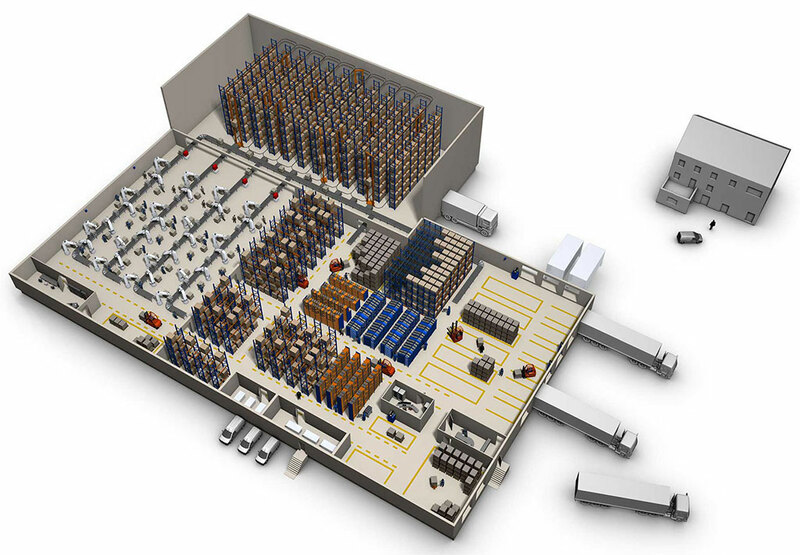 ICS will present its unique real-time transport control system "ICS eTLS®", which analyzes, controls and optimizes the entire plant traffic, as a top solution at the exhibition stand. We will also show portfolio innovations in the areas of warehouse management software, warehouse automation & robotics, labelling, transport telematics and services for industry 4.0. In addition, visitors to the exhibition stand can look forward to a live event in which the productivity advantages of the latest mobile technologies and IoT devices are demonstrated up close and can be measured "in figures". In addition, ICS will advise on concepts for mobile IT infrastructures, which often require urgent action on the part of the users, not least against the background of the change in the mobile operating system sector. The award-winning ICS eTLS® guarantees the efficient use of means of transport via dynamic transport control. For the first time, this unique system solution offers dynamic and prioritized planning, control and monitoring of all internal transport orders, based on any means of transport. ICS Multiscan enables the convenient capture of several different barcodes simultaneously and directly from the forklift. With the innovative Multiscan solution from ICS, goods receipt is noticeably optimized and can be carried out up to 20% faster per shift. Analysis, concept, solution: Migrate from older Windows versions to e.g. the alternative Android OS. ICS offers you the latest Android mobile computers with enterprise extensions, industrial browsers and individually tailored ICS software applications for seamless productive work in the supply chain. Title: Without detour to success - Sustainable real-time logistics for SMEs through integrative automation. LogiMAT 2019: Your Ticket to the digital Era. We would like to invite you to experience trends and innovations for the digital supply chain live at our booth. We look forward to hearing from you via the contact form at the bottom of this page, by e-mail or by telephone. For an expert talk at LogiMAT 2019, please specify the topic and the date you would like to visit our stand. Get your free LogiMAT 2019 trade fair ticket and schedule an expert advice now. By sending this request I confirm that I accept editor’s data privacy statement. I accept editor’s data privacy statement. Cookies are used on this website to provide you with the best possible content.